We finally got in Graphic45 Floral Shoppe 12×12 individual sheets of paper. The Sun Kissed Collection is also now available in 8×8 pads and 12×12 individual sheets. So, there is paper for Spring and Summer! We are expecting the Tim Holtz Glass Media Mats any day now. I was told last week they should be shipped this week. We shall see. In the mean time, I have just received the Travel Stamp Platform($35) which is a smaller version of the original platform. Did you make anything using the Masking fluid technique Bev showed us last week? Bring it in to share with us and you may win a small prize. Are you looking for a place for your crafting group to gather? Our classroom is available for groups of up to 12 to get together.We provide tables, chairs, WIFI and electricity. $5 per person for the day. Please call in advance to reserve the date you want. The Spring Garage Sale is this Friday 9-6pm and Saturday 10-3pm We hope to see you all there! We will offer our “preview” Sale on Thursday 5-7pm, May 3rd to sellers only. The Tim Holtz Guillotine paper cutter is in! And so is the WeR Trim&Score Board! Join us for our free Demo Tuesday, April 17th, at 630pm. when Kathy Snyder will show us a Lacquerware technique ! You’ll want to see this gorgeous technique! Did you make anything with the Sizzix sets that Marilyn showed us last week? Bring it in to share with us and you may win a small prize. On April 26th Cheryl Harwick will teach a class featuring “girl” cards. No pictures yet but coming soon! May 4th and 5th Our Spring Garage Sale! Start sorting your stuff! Join us for our Make & Take this Thursday 1-5pm or Saturday 1230-330pm. Just $1 per card, limit 3 of each design.Beginners welcome! Watch for pictures on FaceBook on Wednesday. How would you like a way to sell your unused, gently used or not needed scrapbook tools, paper, stickers, embellishments, rubber stamps, inks, supplies, etc.? Let us sell them for you at our Crafter’s Garage Sale! *Only paper crafting tools and supplies are allowed in this sale. *No finished products or anything not related to stamping or scrap booking will be accepted. *Make sure all merchandise is in good shape and that all inks, stamps and tools are good working order. * Seller must call or stop in by May 1st to register and get a seller’s code number. * All items must be packaged and ready-to-sell. Loose items such as paper, stickers, embellishments, etc . must be packaged. Punches and tools need not be packaged unless they have small or loose parts. * Labeling & descriptions help sell product! The seller may put short content description on package. * All merchandise (packaged or not) MUST have seller’s code number and price marked on a sticker that sticks well and is on the outside of the package (no sticky-notes, please!). *Seller sets their own prices. All prices are final. 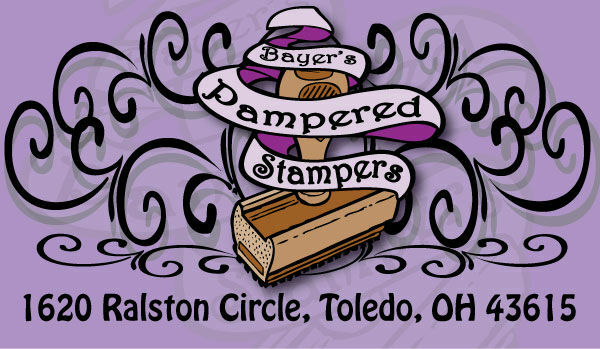 * Bayer’s Pampered Stampers collects and keeps all money and the seller is paid in the form of Bayer’s Pampered Stamper Gift Certificate equal to the amount of their sold merchandise. The gift certificate must be used on in-stock merchandise by 12/31,2018. * Garage sale items must be dropped off at Bayer’s Pampered Stampers on Tuesday May 1st after the demo or Wednesday May 2nd during regular business hours. If you are unable to bring your items during that time, please call in advance to make other arrangements. Please bring your items in a box or plastic tote (marked with your name and number) in which any unsold items will be returned to you. * Seller must pick up their unsold product and payment from Bayer’s Pampered Stampers by Wednesday May 9th. If you are unable to come at this time, please call in advance and we will try to make other arrangements. Any Items not retrieved by May 15th will be donated to charity. We are gearing up for our Spring garage sale, May 4th and 5th. Please contact us this week if you are interested in selling at this Garage Sale. Join us for our free Demo Tuesday, April 10th, at 630pm. Marilyn Kayne will demo the Side Kick die cutting and embossing Machine by Sizzix! Did you make anything with the background dies showed us last week? Bring it to share with us and you may win a small prize. Make this cute “Junior Journal” with Wendy Easler on Saturday April 14th at 1230pm. This quick class will cost just $10. Class size is limited…register soon! We have had a wonderful response to the announcement of our first crop coming in August. Space will be limited, so we will be accepting reservations starting this month. If you are interested in more information, please email: Bayersps@gmail.com and put “crop” in the subject line. Help me clean out my Easter stock! All stamps, dies and paper that are specifically for Easter will be 30% off the original price until April 15th. Join us for our free Demo Tuesday, April 3rd, at 630pm. Barb Cox will demo background die techniques that are really fun! Did you make any “off the edge partial die cut” cards that Cheryl showed us last week? Bring it to share with us and you may win a small prize. Join us for our Make & Take this Thursday 1-5pm or Saturday 1230-330pm. Just $1 per card, limit 3 of each design.Beginners welcome!